Precious earrings made of sterling silver. 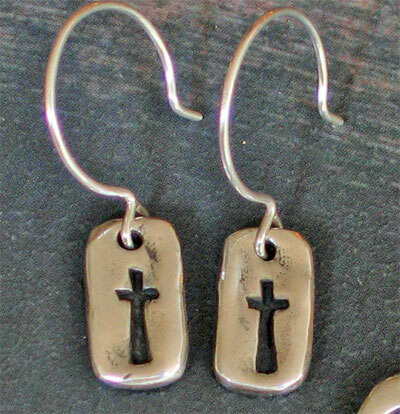 Each earring displays a simple cross on the front. Overall the earrings have a handcast feel to them as they are irregular with grooves and divets... quite popular in today's fashion! 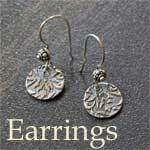 Each earring measures 1/2" long by 1/4" wide and have been hung on a sterling silver french hoop wire.